The 5th December 2016 is designated World Soil Day by the United Nations; a day to raise awareness of the critical importance of soil to everyone’s lives, and the issues affecting soils today. 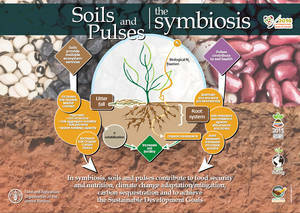 The FAO have made some useful short videos that explain a few of the important uses of soils. The video belows talks about the ways in which soils helps us fight climate change.